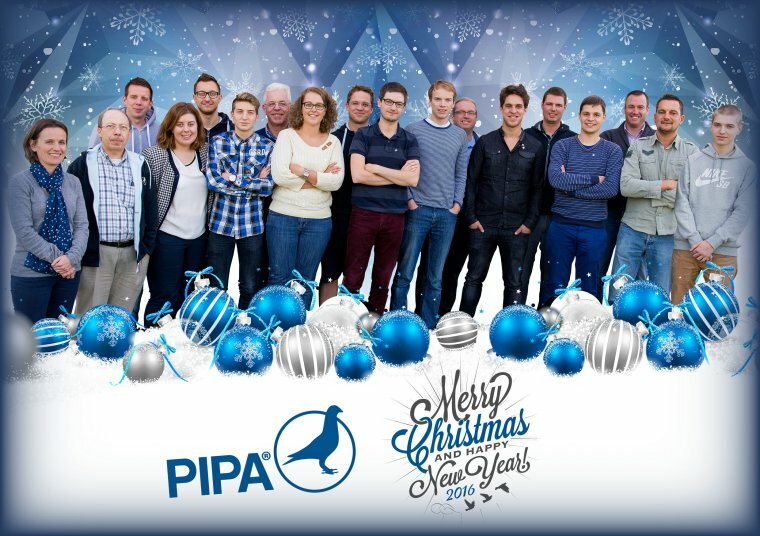 Home › News & Articles › News › PIPA wishes you a Merry Christmas! PIPA wishes you a Merry Christmas! A white Christmas is almost starting to sound like something from a distant past. We will have another green Christmas this year, although we hope the spirit of Christmas is still there. Today we celebrate light, new life, fresh hope. Pigeon fanciers are positive thinkers, and the pigeon has always been a symbol of peace. A celebration of light. Light that comes in the form of sparkling stars. The stars are at their most beautiful in this time of year, because of the long nights. They reflect in a way our inner self, our soul. Each individual is a star on his own. For what he is. The most beautiful stars are the stars that shine the brightest, that have achieved something despite any personal restrictions. They shine in all simplicity, they are honest and sincere. They stand out from the others, no matter in which way. They stand apart from the falling stars, which quickly cease to shine. It is also a celebration of light metaphorically speaking: it is about showing respect, about being genuinely happy for someone else. It seems that fewer and fewer people have this mindset, especially in a world where we are increasingly self-centered. Unfortunately this goes for pigeon racing as well, and it is particularly harmful to the reputation of our sport, especially towards the outside world. It seems that some people like to bring others down instead of focusing on their game. The Christmas holidays are a perfect moment to try and change things around, for instance by sending out wishes. It takes absolutely no effort to congratulate one of our colleagues, friends or opponents on doing a great job. It has happened to every fancier that your pigeons fail to meet the expectations but this is always due to yourself and your pigeons. You should never blame your opponents. We should also keep in mind that our sport would not be able to survive without the hard work put in by the clubs and unions. Without them we would not be racing pigeons at all. It could never hurt to offer a helping hand from time to time, or to try and motivate a fellow fancier who is having a hard time. We should not always expect to get something in return. Do not hesitate to help out a young fancier or a newcomer to the sport, by providing good advice or perhaps by giving them a few young birds or eggs. Besides trying to reach our own goals and objectives we should also try to mean something to others, to our fellow fanciers. We think this is a meaningful Christmas message, and something worth striving for as a pigeon fancier. Christmas is a time of giving, and a time in which we can show our friends and family how much they mean to us. ​PIPA wishes everyone peace, hope and love. Today, tomorrow and forever. Merry Christmas!